Teamwork and Pay It Forward Speaker for Medical and Dental Practice Conor Cunneen talks about Potted Plants!!!! Here, this lyrical Chicago based Irishman demonstrates the power of paying it forward and how it can truly build enhanced Teamwork. 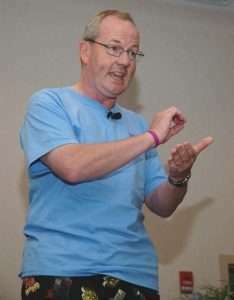 Conor Cunneen – Motivational Teamwork Speaker Training Dental Medical Practice.